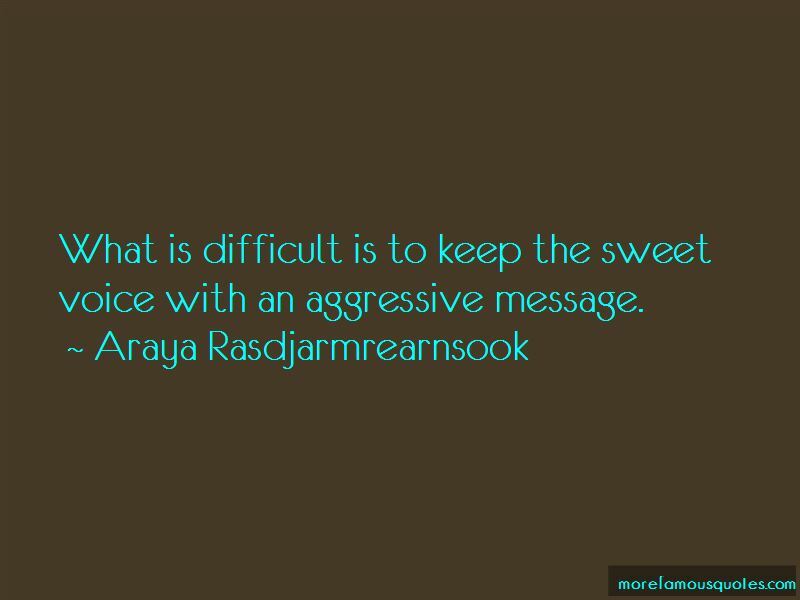 Enjoy the top 14 famous quotes, sayings and quotations by Araya Rasdjarmrearnsook. I probably sensed the serious formality of the ceremonies and felt what others were feeling then. Looking back, I'd guess that it had opened up a gaping hole in my psyche. In the process of creating art, I might be trying to fill that hole, or to reduce its depth, or to make it feel less hollow. I think that making art could have helped from that moment on. What is difficult is to keep the sweet voice with an aggressive message. 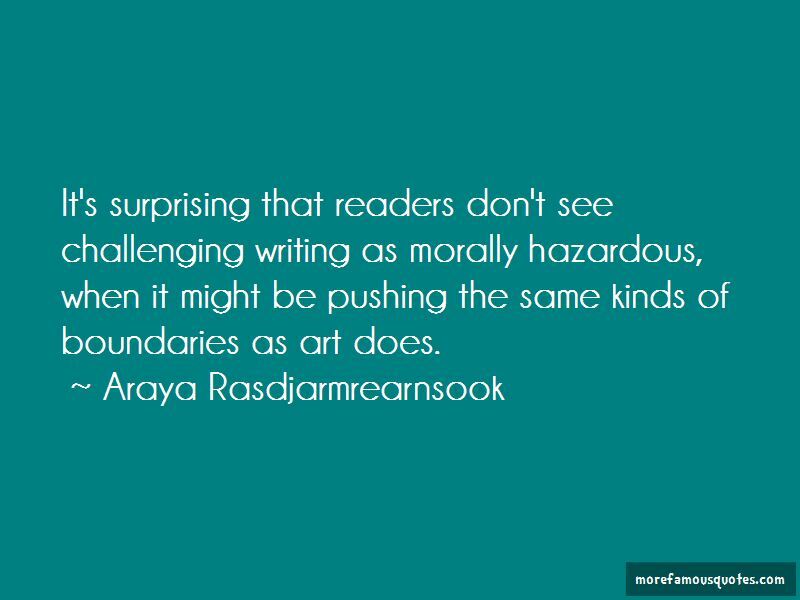 It's surprising that readers don't see challenging writing as morally hazardous, when it might be pushing the same kinds of boundaries as art does. Thai society rarely attempts to control literature in the same way that it vigilantly polices visual art. It's ironic because people in this society are more aware of literature than they are of art. 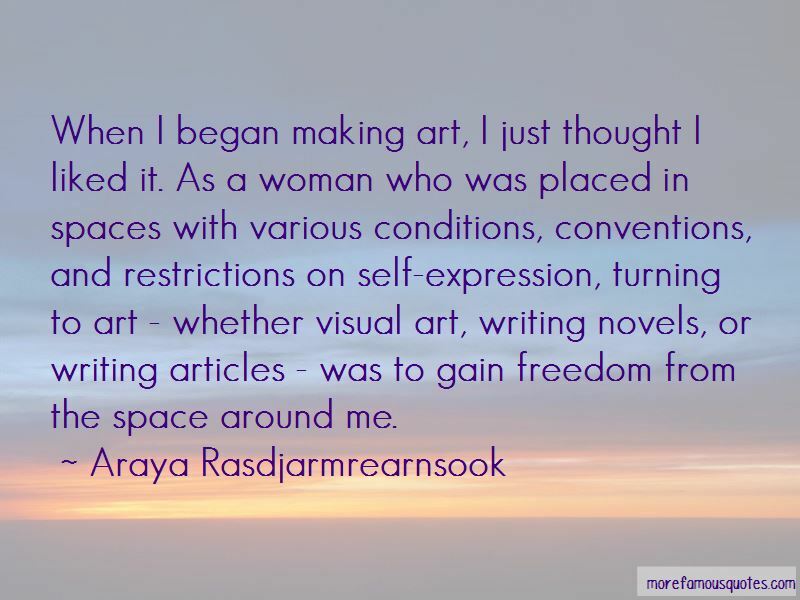 Want to see more pictures of Araya Rasdjarmrearnsook quotes? Click on image of Araya Rasdjarmrearnsook quotes to view full size.